But hate how much it costs to keep your garden going? Then you may want to consider joining the Home Depot Garden Club. Whether you want to save money at the Home Depot, learn how to keep your garden weed free, or how to grow your own strawberries, you should definitely check out the Home Depot Garden Club. This is such a great club for anyone who’s looking to improve their garden and get new project ideas. Plus, it can save you a lot of cash! You can even get a $5 off coupon instantly delivered to your inbox! We’ll show you how you can save over $300 with this club. In this post, we’re going to cover what the Garden Club is, the benefits it has to offer and why you should consider joining. What is the Home Depot Garden Club? It’s a gardening club that anyone can join. As a member, you get access to a multitude of benefits. You just sign up using your email address and mobile phone number, and you become a member. Each month, you get text messages and emails from Home Depot that include special promotions and offers. And, you also get access to tons of gardening videos and articles, just like the old Lowe’s Build & Grow workshop program. Step 1: Visit the gardening club to register. Step 2: Enter your name, email address, zip code and mobile phone number. Step 3: Make sure that you check the box to opt into the text program – it’s underneath the field where you enter your phone number. You’ll receive up to ten text messages a month, which include special promotions and offers. If you decide you no longer want to participate, you can just text STOP and it will opt you out. And, you’ll also receive emails, which include offers, like coupons, as well as gardening tips and projects. To start, there’s tons of expert advice available through the club. So anyone looking to keep their lawn well-manicured, grow their own food, or just improve their garden in some way will definitely love the program. Similar to the Home Depot Workshop, you get tons of tips and hacks from experts. There are articles from Martha Stewart and gardening experts on the site. There is a wide range of categories available, like Edible Gardening, Yard & Landscaping, and Flower Gardening. 9 Tips for Starting a Backyard Beehive. One of the most useful aspects of the club is that it gives you gardening tips that are relevant to the area where you live. You can go to the website, select where you live on the map, and then get gardening tips that are tailored to your area. Arguably, the biggest benefit to signing up is that you get access to exclusive savings and printable coupons. As a member, you get access to up to $300 in annual savings! That’s pretty amazing. If you’re someone who often shops at Home Depot, then you will certainly benefit from the club. And, what’s great is that Home Depot will give you $5 just to sign up. So, you get free cash to spend. Just sign up and Home Depot will send the $5 off coupon right to your inbox! Should you sign up for the Garden Club? If you don’t mind receiving deals and promotions to your mobile phone and inbox, and you often shop at Home Depot, then you should definitely join! 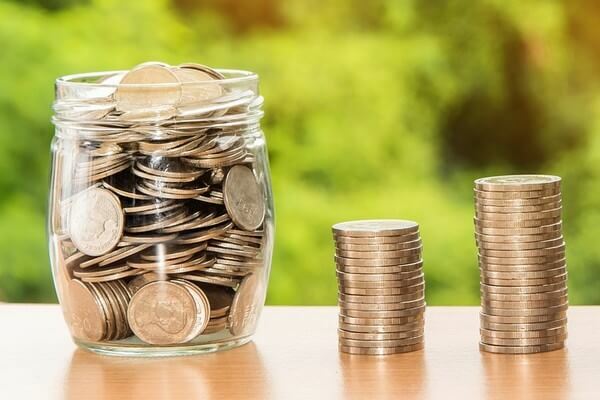 You get access to up to $300 worth of savings as a member – so you’re missing out on some great deals if you don’t sign up. Plus, it’s free and so easy to join! 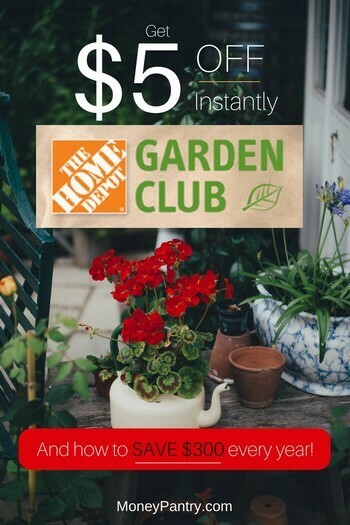 Even if you don’t really care for gardening, you should sign up for the Home Depot Garden Club since you get a $5 off right off the bat. It’s like getting $5 for free.